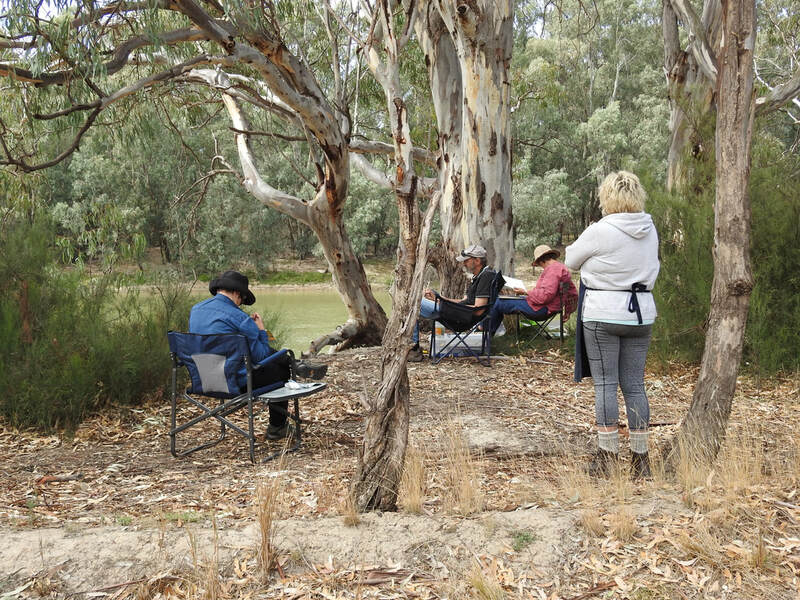 Another great BAS Paint Away saw 19 members & friends travel to Gunbower. 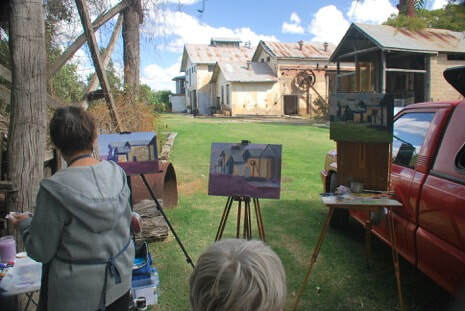 Many great paintings were produced at Potters Cottage & sheering shed, the old Butter Factory, Kow Swamp , Mt. Hope & Masters Landing. A delicious evening meal & stimulating chat was very much enjoyed at the Gunbower Hotel on Saturday & every other evening saw the group conversing over drinks & nibbles at the Camp Kitchen of the beautiful Gunbower Caravan Park. Special thanks to Bill McG, Leticia, Kim & other Gunbower locals, who went out of their way to help & support us in making this outing a great success.